We are listing the best and free image editors available on the Internet. You don’t need to pay high price for the Adobe Photoshop software as these are the equally good alternatives. These software will meet most of your photo enhancement needs. Clicking and editing photos is something we all do every day for various reasons. When it comes to photo editing, the most popular tool around is the Adobe Photoshop. Even if one has never used the photo editor, still one has heard about it and knows that it is used to “make changes” to photos. Are there any image editors that match the capability of Photoshop? Well yes, there are, but most may not match the professional unique features of Photoshop. However, you can still use these tools easily to take care of most of your photo editing requirements. GIMP (the GNU Image Manipulation Program) is the first tool that comes to mind because I used it for years on Linux. It is definitely one of the best free alternative to Adobe Photoshop and is bundled with amazing professional quality functions. It is so good that sometimes one tends to forget the existence of Photoshop! Whether you are a professional who needs to fine-tune photos and other images or just someone who loves to enhance photos before sharing, GIMP can do almost everything that you want to do with your photos. 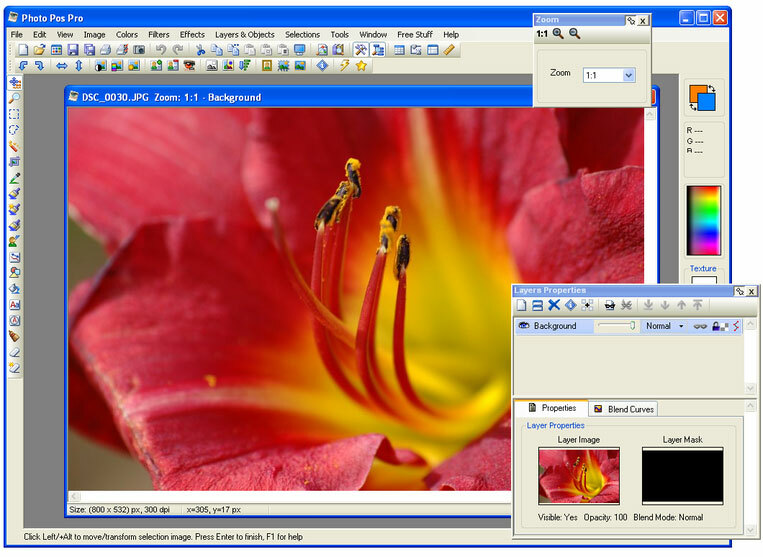 GIMP is bundled with user-created plugins and scripts. With the animation tools, you can go a step further to bring your photos to life literally by morphing and blending. GIMP also includes good documentation to help you use the functions efficiently and troubleshoot problems, if any. Another Photoshop alternative that is second on my list is the Desktop based Pixlr from AutoDesk. Pixlr is a free photo editing tool. Pixlr for Windows is a fast, easy, and intuitive image-editing tool with a range of filters and effects to enhance your photos. The tool is fairly intuitive and is bundled with good user guide. For further help you can always join user support community, which is very responsive. Pixlr tools provide good control over your photo editing process. You can add various effects like crosshatch, halftone, and dapple with a single click. It includes hundreds of effects, overlays, stickers, and borders to choose from and experiment with different effect combinations. With familiar blending modes, double exposures, overlays, and effects you can create amazing art for free! If you decide to opt for the pro version of the tool, you can use advanced blending modes with Influence Masks and Text Masking. You can apply linear or radial gradient masks to blend the effects or images, or create artificial light sources. The web-based version of the tool too supports all the features mentioned above for the desktop version. It is a good option if you do not want to download the desktop version but still want to edit your photos for a near professional look and feel. This free image editing tool involves a fairly steep learning curve. However, once you get a hang of it, you can handle it efficiently to meet most of your requirements. A logical interface and one-click buttons for the commonly used tools in the shortcuts toolbar, makes it easy to access the important image adjustment tools. The editor is well equipped for image enhancements with one-click options. You can access the one-click options from the menus or shortcuts toolbar. Photo Pos Pro also includes a Red Eye Reduction tool, image sharpening and noise reduction. A feature that is worth a mention is that the text flows within a frame and adjusts as per the font size. You add the text through a dialog instead of typing it directly on the image. Photo Pos Pro uses its own file format – .fpos, but you can save to other common file formats, including GIF, JPEG and TIFF. It supports batch editing and scripts that helps you save time on the routine tasks. You can also import images directly from a scanner or camera. Photo Pos Pro offers plugins to create and save your own filters for later use. Like most free tools, Photo Pos Pro too has its share of drawbacks like duplicating layers is not intuitive, editing layer masks is messy, no adjustment layers for non-destructive editing and it lacks layer effects. However, the tool still meets most of the image editing requirements unless you are an absolute pro Photo editor and need to do more! Paint.NET is an open source software. 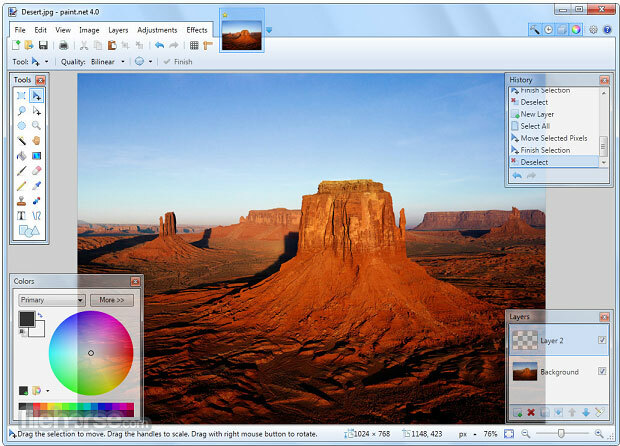 It is a supposed alternative to MS Paint that slowly bloomed into a powerful photo editor. 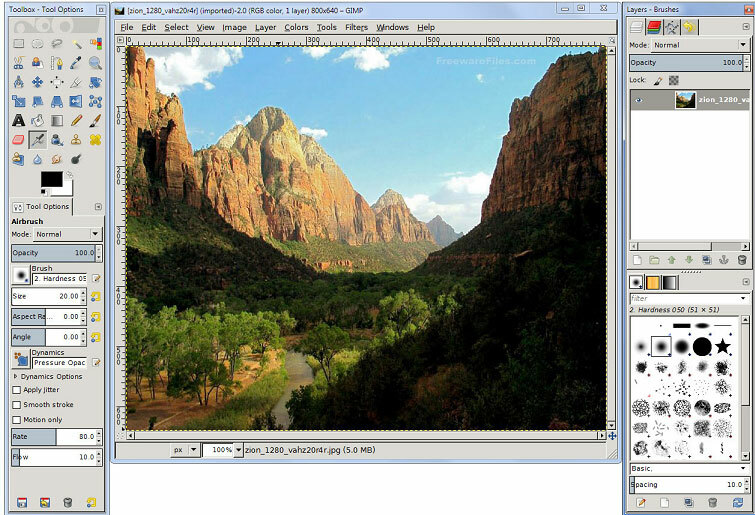 Paint.NET is an easy-to-use intuitive image editor that is a good alternative to Adobe Photoshop. You can use it to adjust the image brightness, hue, contrast, curves, saturation and levels, special effects that can blur, sharpen, distort, emboss and remove the red-eye effect from your photos with quick clicks. It includes a gradient tool, a text editor, zoom function, and a clone stamp tool to help you clean up hazy and grainy photos. Paint.NET supports user-created plugins, thereby adding more filters and functions. Adobe Photoshop Express is a photo editor available free for your browser, and you can download the app for Windows, iOS, and Android. This tool features last on the list though with minimum features because of its simplicity. It is a simple and easy to use tool that just about meets your requirement. 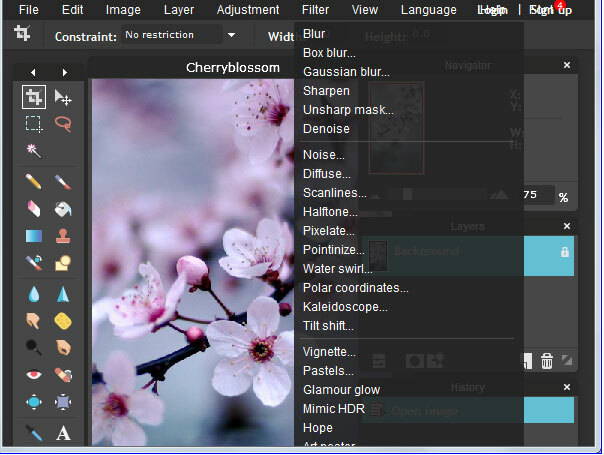 However, the tool lacks layers, plugins, brush tools, and there is no option to crop or resize your pictures. This tool is excellent for amateurs but definitely not for professional photo editors. There are many other free photo editors like PicMonkey, SumoPaint, Krita, and CinePaint etc. that can handle the basic photo editing but are not alternatives to Photoshop. The alternatives featured in the article are on par with Photoshop barring few features. These editors offer batch editing, layers and masks, advanced filters, color adjustments etc. Now I leave it to you, the readers, to choose the tool that best meets your requirements. Thank you for sharing good Photoshop alternatives. I was searching online but I didn’t get proper details. You’ve provided valuable information.